Has Verizon's new tech site banned controversial topics? 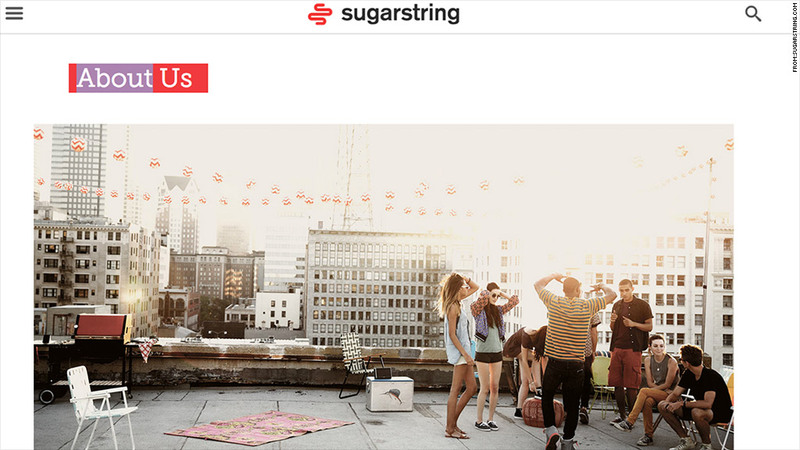 Verizon's new site "SugarString" will focus on tech stories as long as they don't have to do with net neutrality or U.S. spying. Verizon's new tech site SugarString.com boasts that it will publish "thoughtful tech-focused stories that track humanity's climb towards the new next." However, a news report says that some stories are off limits. The Daily Dot's Patrick Howell O'Neill reported on Tuesday that in a recruiting e-mail from Cole Stryker, the new editor-in-chief of SugarString, Stryker said he'd been given a "pretty wide berth" to cover technology, but with two big exceptions. Those were net neutrality and spying -- in Stryker's words, "verboten topics." Verizon, however, is telling a different story. "Unlike the characterization by its new editor, SugarString is open to all topics that fit its mission and elevate the conversation around technology," the company said Wednesday. Considering that these are two issues that Verizon (VZ) finds itself at the center of, the report of the ban is telling. When the FCC created net neutrality regulations to prevent corporations from controlling access on the Internet, Verizon was one of the main opponents. As for the U.S. spying on its own citizens, court documents showed in 2013 that Verizon was among the major cell phone providers that gave millions of phone records to the National Security Agency. 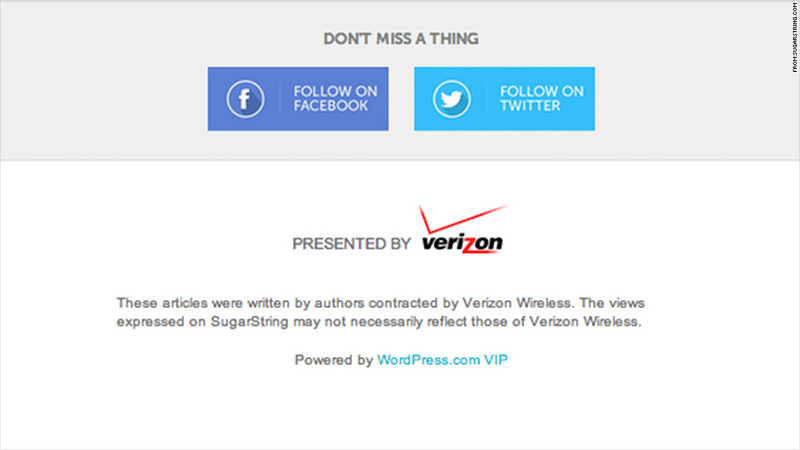 SugarString is completely bankrolled by the telecommunications giant, so much so that Verizon even has a disclaimer at the bottom of its web pages stating its relationship to the site. But reportedly, the site is not an "advertorial." A major corporation bankrolling an online news site isn't exactly new, however. Dell partnered with Vice in 2009 to create Motherboard, but outside of Dell's logo being incorporated in the site's logo, Vice ran the site. Verizon controlling editorial coverage could prove to be problematic. Good journalism depends on gaining the trust of the readership. The cozy relationship definitely raises some eyebrows.